Previous post: Audio-GD NOS11 – Custom with many extras! Does price estimate include Singxer? Yes this price estimate includes the SU-1 and free shipping. It’s possible I will be offering optional Kitsune Tuned usb cables… either 7inch patch for those using Intona Industrial or iFi Micro iUSB3.0 or similar, or 1M for those not using anything between source and SU1. these are 90ohm spec, occ silver plated occ copper, also spc shielding. Very good quality USB without spending too much for usb. 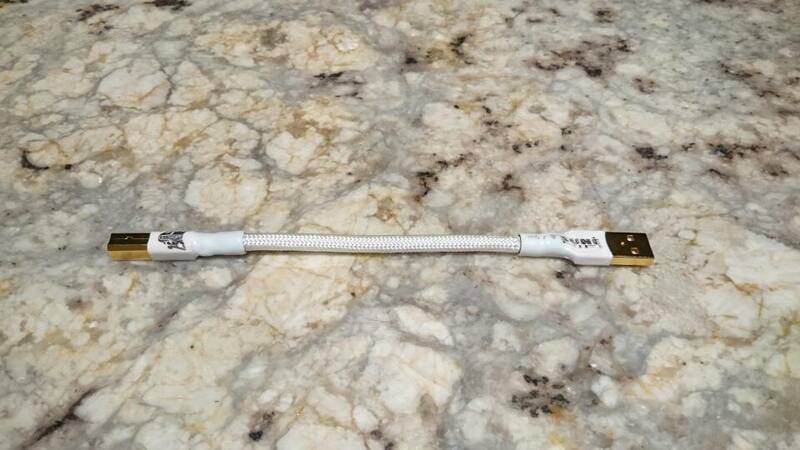 We think everyone will love these cables. And highly recommend the patch cable if you use an Intona Industrila or iFi Micro iUSB 3.0 before the SU1. Any pricing/time-frame updates on this? I’d love to get myself one for my birthday next month… Interested in the HDMI cable too (1m). We can invoice you directly for one of these. But we will NOT sell i2s HDMI cables longer than 0.5M as they are NOT recommended to go any longer. Signal degrades a bit past this point. Please reconsider the length if you plan to use HDMI i2s. FYI, we use a much better regulator than the Belleson that is mentioned on CA. 😀 the specs across the board are quite a bit better. Although i’ve spent a bit of time testing the belleson regulators. If you’d like to order one, please contact me again via email. I apologize for the delay. The last week has been very very difficult and have been playing catchup. The KTE-SU1 are limited production and I schedule 2-3 a month at the very most. And there is one position left for this month if you’d like to be that person. 😀 I have sent you an invoice. I am checking to see when another KTE-SU1 is available. I have just purchased the Holo Spring Level 3 and would like to get the KTE-SU1 as well. Let me know what kind of time frame you are talking about on shipping. Does it make sense for me to send you unit I recently purchased from you ; as I have installed a SBooster 4.5 v power supply? I’m not sure what you are trying to ask me. Please elaborate a little more. Will the KTE-SU1 be back in production? I can’t seem to find an answer about the driver– will the driver for this unit install and work on Server 2012 R2 OS? Anyone know? There is currently one in stock for sale. A customer backed out off the list, so this will go fast. Otherwise, if you’d like to order one the wait won’t be too long. please contact me to receive an invoice. 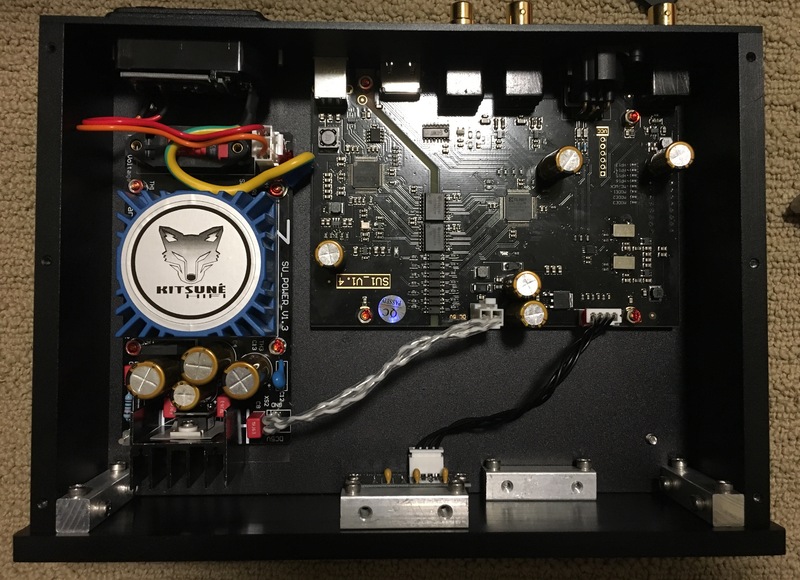 Hello, I would like to purchase the Singxer SU-1 KTE (Kitsune Tuned Edition) – Tuned PSU (3.2uV output noise!) in silver. Please use our contact form and submit your request there with your shipping and phone number and we can process an invoice for you this way. Thank you for your interest in KitsuneHiFi and our new KTE-SU1 , BTW,we only have one Silver SU1 in stock that would be used to upgrade to KTESU1 at this point so you are in luck. First I would like to say that Tim delivers NOTHING but A+ customer service in every way! I’ve had the “KTE” SU-1 paired with my “KTE” Spring DAC for +/- 3 months now and all I can say is this pairing is endgame for me! If you’re considering this pairing, do your self a favor and don’t hesitate any further. I can honestly say that I’ve reached my endgame with this pairing! I have been contemplating buying your dc conversion kit in order to power my SU 1 with an uptone audio LPS1. I was curious of what you thought the difference would be between using the dc conversion kit vs the Kitsune su 1 mod. I am wondering if I sent my su 1 to you and had it modded if you think there would be any benefit in also doing the dc conversion mod. Do you think that the Kitsune mod would make the dc conversion mod redundant? Thanks a lot. I just purchased my first R2R Dac, and it´s from Denafrips. Alvin reccomended tha I use a Singxer SU-1, but after reading about the Kitsune edition, naturally makes me wonder if these are still being made. Gustaf, are KTE SU1 DDR’s still being made? yes, they can be ordered from this link. they take approx 10 days to build/test/ship. And they are one of our best selling products. or if you want a standard Singxer SU1 with no mods, you can order them here. We always have these in stock as well. Gustaf, yes they are still being made. We sell many of these every week. There is about a 10day build time on them once you place your order. Please let me know if you have any other questions.